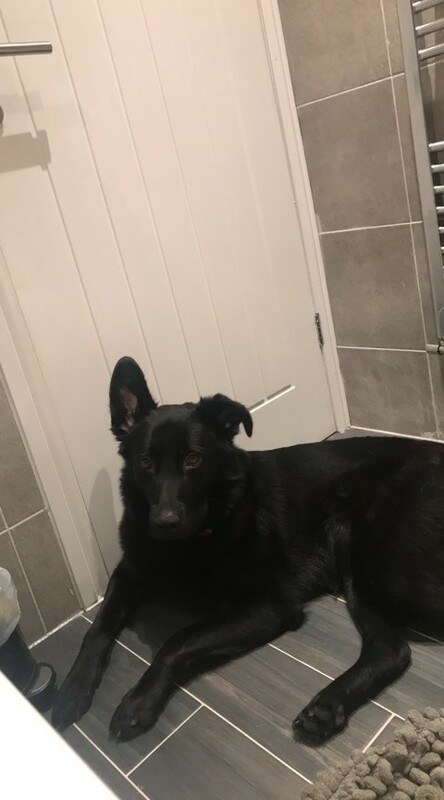 Shadow is a one year old GSD Belgian Cross who at the moment sadly needs to be re homed due to partnership breakdown. Shadow greeted our volunteer with a woof and excitement but soon calmed and happy to take treats. 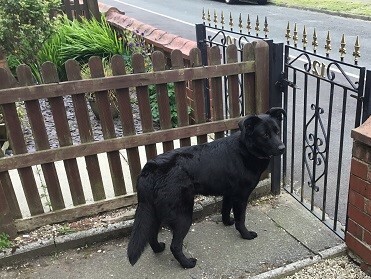 Shadow has basic training, is good on the lead but a little unsure of dogs, off lead she has played nicely with other dogs and at the moment is also used to living with another dog. Shadow would suit a new forever home where they are around as she can get anxious when left and will amuse herself by playing with the rubbish bin. She is used to children from around 10 years upwards. Our volunteer thought she was a sweet dog who should suit someone who definitely wants a new shadow in their home.